According to a recent study by Forrester, 1/7 potential customers in a web shop drop out, leaving the shop before checkout. More and more web shops use e- mail to lure back the buyer - an increase of 6% since last year. Although the buyer hasn’t completed his purchase, the merchant does know two things: the buyer has a need, and the product he wants is registered. Nevertheless, the merchant needs to properly make up his follow-up mail in order not to be too intrusive, while presenting it more as an extra service. - More often, users are not personally addressed to with their proper name, because it’s widely regarded as too familiar, and therefore an invasion of the privacy. 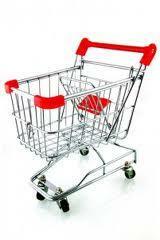 - The right time to send such a mail is 6.15 days after the shopping cart was left. - As more and more consumers prefer a mail in HTML format, you can add a picture of the abandoned product. TechDays 2011 was a great success!